Is link building safe in 2014? Is it still worth it? Should I be doing it? There is much confusion over if “SEO is dead”, or what link building strategies are safe. This 2014 link building strategies guide will present safe and effective link building techniques as well as link building tactics that you should stay away from. Links have been an important part of the SEO landscape ever since Google began using them as a key ranking factor back in the late 1990s. Originally, Google used links as “votes of confidence” in a page. The more “votes” (links) a page received as well as who voted for (linked to) you determined your search engine ranking. As SEO practitioners began aggressively building links (and trying to game the system), Google began to revise their algorithms. Other ranking factors were introduced and “illegitimate” link building practices were punished. Even so, the quality (and to a lesser extent quantity) of links in your link profile has a significant effect on your search rankings. Note: Links are still an important ranking factor for search engine results. Google has deemphasized or penalized low value links. Link Building is now more about “Link Earning” or creating a reason that another site should link to you. It still makes sense to pursue link building to improve your search engine rankings and gain more organic traffic…you just need to focus on the right tactics and avoid the risky ones. Overview: Create compelling content and reach out to key influencers. Provides clarity and/or details on an emerging issue. Analyzes and summarizes a complex topic. Stirs debate by stating a controversial opinion. Case study – especially one that highlights the use of a software/service that your target blog provides! Social media influence – number of followers/fans. Or use ranking tools such as Klout, PeerIndex, or Kred. Time/Effort: Content Outreach is difficult. You need to develop quality content and research/contact influencers. Link Value: High (assuming you get the right influencers to link to you). Risk: Little/None. These are about as natural of a link as you can get. 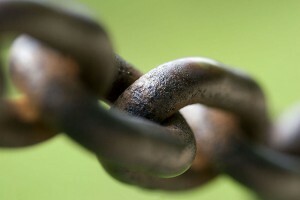 Bottom Line: Good (but time intensive) link building strategy to develop high value links. Also helps you build/maintain a network in your niche. Overview: Discover link building opportunities by analyzing the link profiles of competitors. Compile a list of competitors. You should already have a good idea of who your competition is. If not, try a google search for your niche and see who has the top results. 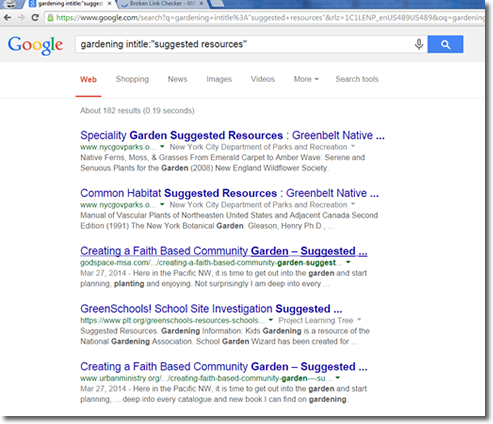 Links from related sites (e.g., have a related keyword in their URL). Link Value: Varies. You will discover easy to attain links as well as high value links that may require some effort/creativity to acquire. Risk: Varies. Don’t copy risky link strategies from your competitors! Overview: Suggest better links to webmasters who have broken/out of date links on their sites. Identify or create content. You can use existing content or create brand new content depending on the situation. View the potential pages and identify which ones have merit. Locate broken links. There are many ways to identify broken links. I use scrapebox (www.scrapebox.com) to check large volumes of links. Free tools are available, including: http://www.iwebtool.com/broken_link_checker where you can just enter the URL of the target page (from step 2 c) and identify broken links. Reach out to webmaster/content owner. Identify out of date/broken links and recommend replacements. May help to recommend some links that aren’t to your own site. Time/Effort: Varies based on tools you use. If you use some automated tools you can comb through a lot of pages and identify dozens of link opportunities. If you do it manually it will take longer. Link Value: Varies. You can uncover high value resource pages (especially on .edu or .gov sites) that have broken links. Risk: Very little as long as your target linking sites are legitimate (not spammy directories). Bottom Line: Definitely give this tactic a try. Overview: Guest posts are when other blogs or websites post articles authored by you. Your goals for guest posting should be to position yourself as an expert in your niche as well as gaining traffic to your site. You will also receive a backlink to your site. Unfortunately, overzealous SEOs turned guest posting into a spammy practice that Google has tightened down on. But, don’t despair, guest posting on high quality blogs is still a worthwhile endeavor. Hint: I use www.similarweb.com to research a blog. You can see estimated traffic, top organic keywords, referring and destination sites, time on site, bounce rates and more. Review other published guest posts. This will give you a strong indication of what they are looking for. See if they have any out of date posts. 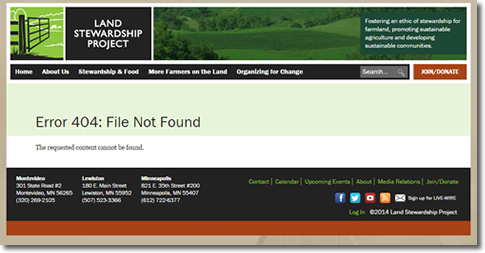 If you can find some posts on their site that are seriously out of date, you can offer an updated version. Review their posts from the past few months. They won’t be interested in something that they have recently posted on. Understand the blog’s guest posting guidelines. Show your familiarity with their site. Reference specific items (articles, features etc.) that you appreciate about their site. Show them you are credible. Identify yourself and your website. Touch on any “accomplishments” (such as other guest posts, speaking engagements, press mentions etc). Keep it short and to the point. Your pitch should be less than 200 words. Create the Post. Once you have been accepted, it’s time to create the killer post. Here’s what to keep in mind. Quality first. If you’ve been accepted on a true authority site, make sure your content is as good as or better than what you would post on your own site. Craft custom images. Your post needs to be visually compelling. Make sure to include custom images, graphics, flowcharts, screenshots – whatever is necessary to tell your story. Follow the rules. As mentioned previously, if a blog has posting guidelines, make sure to follow them. Hook them. Make sure your title click-worthy. Insure that your first sentence and first paragraph will entice the readers to finish the article. See How to Write a Powerful Blog Post for more insights. Time/Effort: Acquiring a guest post on a top blog will require a significant amount of effort. Link Value: There will be some link value, but the main value will be the exposure for your brand/blog. Risk: As long as you stay away from low quality blogs this is a safe activity. Bottom Line: Guest posting is a time intensive activity but the payoff can be enormous. What It Is: Paying a website or service to have your links appear. Why It’s Bad: Against Google’s TOS (will result in manual penalty if discovered). It’s expensive. Definitely not genuine – it’s manipulative. Why It’s Bad: Recognized by Google as a spam technique. Articles are not meant for human viewers and offer little value. Google can easily detect the footprint. What It Is: Creating accounts on hundreds of forums solely for the purpose of adding your link. Why It’s Bad: Google has cracked down on this practice – it is very easy to detect. Also hurts your anchor text diversity. What It Is: Low quality directories that display thousands of links in hundreds of different categories. Why It’s Bad: Low value links with negligible SEO value. Google identifies these directories as spammy. What It Is: Creating 100s of links to other sites in exchange for a link back. Why It’s Bad: Links are usually irrelevant. Google can easily discover. Links are easy to achieve which makes them low value. What It Is: Using software/services to leave generic comments on thousands of websites, usually with spammy anchor text links. Why It’s Bad: Negligible SEO. Low value and irritating to webmasters and the community. What It Is: Links to your site from every page of another website. Why It’s Bad: Google views them as artificial and not an “editorial vote”. Can hurt the diversity of your anchor links. What It Is: Using your “money keywords” (versus naturally generated anchor text) in your link profile. Why It’s Bad: Google targeted this tactic in their Penguin updates and will apply an algorithmic penalty to a site for over use. What It Is: Network of sites that link back and forth to inflate page rank. Why It’s Bad: Google is actively searching link networks out and shutting them down (and penalizing their users). It is a serious effort to set up or expensive/risky to use others. Most sites won’t have relevance to your topic. Do you have any secret link building techniques that you want to share? Let us know in the comments!